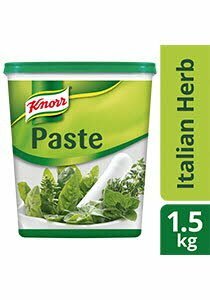 Sugar, Salt, Palm Olein, Palm Fat, Monosodium Glumate, Yeast Extract, Oregano, Garlic, Chilli, Blackpepper, Basil, Citric Acid, Thyme, Spices (Contain Soybean), Contain Permitted Flavouring (Contain Celery). All food additives are of plant origins. May contain traces of cereals containing gluten, egg, fish, crustasean, mollusc, milk, peanut and tree nuts.